In fact, there are only a handful of places left - and it was all once one beautiful garden, with 'millions' of flowers according to the eye-witnesses who wrote of here. Bush care volunteers are doing their utmost to take out the weeds and put the native plants back in but as always would welcome more willing hands. At home, too, instead of laying down pavers we could all put in some natives, add to the Restoration works. We have had many champions of keeping the bush in our local bush, Marie Byles, Annie Wyatt, and Frederick Eccleston Du Faur were all frequent visitors or spent many a season here. Even later 'developers' like A J Small of 'Avalon' had a firm eye set on keeping the green in our greens. Living here were residents who would plant trees, sing about the flowers, whether famous poets like Dorothea Mackellar of Lovett Bay, or earth-working year round Pittwater people who would choose a native over a non-native tree for, say, Taramatta (Mona Vale Village) park and even name places after a Rock Lily - which still appeared on birth certificates into the early 1920's - 'birthplace; Rock Lily' - the place, not the wayside inn and dining rooms. Even the Manly Wildlfower Show was a great idea prior to too many ripping out too many flowers to be 'on show'. It took just over a decade to clear Manly of all her original wildflowers so places of worship may be raised on what was razed and an original watecourse 'filled' - an incongruous result of how and what people once thought, even while loving the original and natural 'church' all around them. In the summer's golden prime. You heard our boyhood's vows. That, loving lips would speak. My sobered life has tried. Ranged from me as I ranged. Who laughs between her hands. Who took my boyhood's vow. And watch them from the shore. Narrabeen Lake. A FAVORITE PLEASURE RESORT. (See illustration on page 26). PEEPS FROM AN ABORIGINAL GIBBER GUNYAH. (By W. J. Walton, in 'Mankind.').
' 'Tis pleasant from the peepholes Of retreat to peep at such a world. '— Cowper. In the late eighties the district of Oxford Falls, Middle Creek, South Creek, Wheeler Creek and the country forming part of the southern boundary of the Narrabeen lagoon, was, for all intents and purposes, in much the same virgin state as when Cook passed along the coast on his memorable voyage up north. Much of the surrounding country was wild and mountainous, very heavily timbered in places, affording some security to the rock wallabies, which, at that time, were not quite extinct. It was a land of gullies and waterfalls, having magnificent Views, of line seascapes, here and there intersected' by a number of small creeks, which, joining the main creeks, drained a great part of the watershed of the Narrabeen Lakes. In the springtime this God-made country, made joyous with the songs of birds, had a burst of efflorescence, a kaleidoscope of colour probably unsurpassed in the Australian continent. Towards the end of the year the Christmas Bells —'Blandfordia nobilis' and 'Bland-fordia florabunda' — grew in thick patches, the nodding bells waving in the wind like the wheat in a wheat field. The Christmas Bush — 'Cerato-petalum gummiferum' — with its enlarged red sepals, came to announce that Christmas was near. Through the seasons the wealth of flowering trees and plants followed each other in quick succession; Boronia, Waratahs, Flannel Flowers, Epacris, with many others, made the wilderness of rocks and sand to blossom as the rose. Besides its wonderful flora, which, now that it is almost too late, is being regarded by the scientific world as being worthy to rank amongst the botanical treasures of the world, it contained many evidences of men, manners and customs of a bygone race. Scratched and punctured on the naked rocks for the purposes of the native ceremonial are the petroglyphs of a primitive stone age race. Do not smile — it is from such humble beginnings that all art and culture have sprung. From a retreat where is was usual in those days of bush ramblings to spend the night, a case — a stonehouse or 'gibber gunyah' of the blades — the eye rests on what further down on the opposite side of the valley is an old aboriginal ceremony ground. Viewed at night, when the moon is obscured by clouds, it has a weird, uncanny look. The spindly trees standing sentinel on the ridge at the back of the rock saddle, look like the ghosts of the dead race. In Governor Phillip's time there is reason to think that a great part of this Wheeler Creek area was an important aboriginal ceremony ground. Besides the principal group of rock carvings, there are spread over a wide extent of country other smaller groups, some of which after the lapse of years are difficult to locate. Many have been effaced, others are covered with soil and the encroaching bush. There are many isolated carvings scattered about, like the sacred circles, emus, fish and eels, or the large snake on a rock near the waterhole. All these to the native mind had a deep spiritual meaning. The snake is very prominent in the many myths and legends of the Aborigines. He always lives in a waterhole. The stories about him may vary, but the intruder in his home is usually swallowed. Little of a reliable nature is known of the ceremonial life of the Aborigine in the Manly district; still, it is possible by the study of their rock carvings and customs elsewhere to get a fair insight into the daily lives of these people. The petroglyphs on the main group show they were hunters. The tracking and capture of the kangaroo are shown; there are footprints of the marsupial; following those are the footprints of men. Two kangaroos have spears in their necks. Below, a little distance on the sloping rock, are the hunters who have thrown the spears. One scene is portrayed by two men; they are having a battle royal. In the hand of each of the men is a big waddy, evidently in vigorous use. What is was all about we do not know — probably it was over a woman. Here again footprints were once to be seen: they were arranged in such a way as to indicate the progress of the battle and the flight and defeat of the smaller man. As is usual in most groups of rock carvings, the food supply is well represented. Fish, large rays and the food animals are all there. A deity without radial lines or a circle completes the group. The light side of the black's life Is represented by a number of large shells threaded on a string. In shape it resembles a large necklace. Amongst all the aboriginal rock carvings in Warringah Shire there is none like it. It is complete even to the loop by which it was held in the hand. Its use was to produce primitive music or beat time at the native dances. KURINGGAI CHASE. TO THE EDITOR OF THE HERALD. Sir,-When on 6th October, 1892, I first submitted officially to the Minister for Lands the proposal to "dedicate the waters of Cowan Creek, and ... adjacent to same, as a national park for North Sydney, one of the principal arguments adduced was that "steps could be taken to prevent the reckless destruction of native flowers .eg, the rock-lily, formerly so abundant, is becoming scarcer every year, and must soon become extinct it not to some extent protected." Two flowering seasons passed away before my suggestion was adopted by the preliminary notification of Kuringgai Chase in the Government Gazette of 20th June, 1894. During that interval of over 20 months wholesale depredations had been committed, not by the tourist but for trade purposes which left the foreshores for miles denuded of the special vegetation which had made them attractive in former years- the last tree ferns had been cut down, the rocklilies almost extirpated (the cutting of their flowers did no permanent harm, but almost every accessible plant had been torn away by the roots, and hundreds of Christmas bush trees of fifty growth and upwards had been felled, merely to lop off the top branches for decoration of the butchers shops &c. in Sydney. The removal of a few cartloads or boatloads of such vegetation each year would not have done any irremediable damage, but many of the depredators made a practice of camping on the creek for a week or two before Christmas and ruthlessly destroying everything they could find in accessible places, which they did not want for themselves, in order that others might not join in their harvest and cheapen the market against them at Christmas time. Against this state of things the trustees have hitherto been unable to act owing to certain formal matters in connection with the dedication of the Chase not having been completed , but, seeing that the anticipated destruction during this season (the third) would put back the place for years a strong effort has been made, and being courteously backed by the department the dedication of the Chase was finally secured by gazette notice of the 11th instant and, after overcoming further obstacles the publication of the bylaws was obtained in a supplement Gazette of the same date. Full arrangements having been made, in anticipation, linen posters of notice of bylaws, &.c , were delivered the same evening at a distant camp at Cowan Creek, where two men had been retained to post them along the foreshores of the Chase on Saturday. Similar posters were distributed on Saturday morning at the stations along the North Shore line, and accompanied by a constable and special constable I left for Pittwater the same morning on similar duties, and to establish a repressive force there, and to interview various residents who had promised to assist the trustees as far as lay in their power. This morning (Monday) a strong body of special constables, under the authority and instructions of the trustees and the guidance or the local constable, commence a daily patrol in a steam launch from the head of Cowan Creek down to the Hawkesbury. Under such prompt and repressive measures the trustees feel confident that they will be able to put a stop to any piratical practices on the Chase during this season and that if the necessary support is afforded them by the Government, and the moral support of the general public is on their side, such practices will become impossible for the future and that both the flora and fauna of this large tract of country, abutting on the 10-mile circuit of Sydney, will be protected for future generations in Kuringgai Chase, although probably they will have utterly disappeared from most other places. It is to be regretted that a section of our legislators, in ignorance, I presume, of the circumstances should by their recent vote have crippled the action of the trustees. On the evening after that vote I was obliged to discharge a road party at work (uncompleted) on the Chase, and other working men, who were anxiously awaiting the commencement of other works proposed to be carried out for the convenience of the public, were advised that they could not be commenced. Thus, as all administration by the trustees is performed gratuitously, the whole weight of that adverse vote falls on the working men of the Lane Cove and Hornsby districts, of whom, I am sorry to say too many able and worthy men are unemployed, while, furthermore, the proposed increase of convenience to the public, which would have largely increased our railway receipts, must stand in abeyance. One day was a grey day, with soft rain in the forest so gentle as to be just a mist. It kept the blossoms fragrant. The treasure-trove of today was the waratah. I did not find any; it took patient searching, except for those who had been out on the roadside very early. But there were some glorious bunches of this regal flower among the trophies of the victors. The wonderful wild flower country which is within easy reach of the city of Sydney, and especially north and south in the region of the coast, is being slowly but surely devastated. At the present rate of destruction thousands of acres of land, which, in point of richness and variety of flora, constitutes one of the greatest of the landscape glories of Australia, will be entirely denuded of its Interest and beauty. The multitudes of picnickers and week-enders go further and further afield with the extension of the tramways and other means of travel, and they mutilate and destroy on a wholesale scale. There is no reason why people should not have wild flowers; but there is every reason why they should be prevented from gathering them in a manner which means widespread extirpation. People cross over to Kur-ring-gai Chase and come back with as many waratahs as they can carry. Hundreds of these blooms are wasted. People greedily possess themselves of far more than they have any use for, and, becoming tired of their loads, leave them lying on the ground. Following in the wake of a holiday crowd one sees torn and mangled plants and blooms of every description. People who behave in this way cannot really claim to be considered lovers of either nature or of beauty in any form. Numbers of them pick lovely flowers only to throw them away, in much the same spirit which animates a young child having no knowledge of right or wrong. For the most part private lands and public reserves are raided without discrimination or respect for the rights of the individual or the community. The wild flowers of the coastal districts about Sydney are an everlasting source of charm and delight to tens of thousands of people. They are also a source of health and physical pleasure, since they serve the useful purpose of attracting denizens of the metropolis into the bush to spend their holidays and their week-ends. Thus wild flowers minister to the material as well as the romantic needs of the people, and as the collective property of the community they should be afforded some measure of protection. The wonderfully and aptly named 'Waratah' street of Palm Beach, and the still green Sunrise Hill above it, as well as the long ridge line above Pacific indicate where these red crowns were once rising in abundance. For other flowers that fed, and feed still, the birds and furred native animals that live there, a look at Barrenjoey Headland in Bushflower Bloom (October 2012) may add more colour to your world, while seeing the Fire on Barrenjoey (September 2013) being put our by NSWRFS before it reached some green pockets, would have provided saviour grounds for local fauna, as well as caused other local flora to gain the spark it needed to sprout. 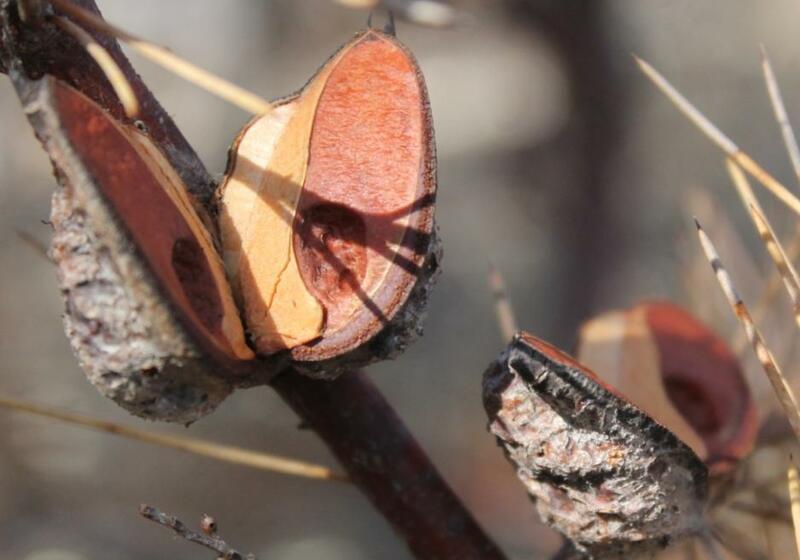 Barrenjoey Headland seed pods on Native trees opened - 12.10.2013 - post-fire by 2 weeks. Through' the green and sunny land! Now, the land about me was sunny, and the gracious saving rains that have fallen lately had made it green, and I was light-hearted and in a mood for roving, and thus it was that I found the lines suited me to a nicety, and blessed the mind that conceived them and the hand that wrote them. While they live and sing,' I' said to myself, Daley did not write in vain. The roads of Australia, though in places rough and unlovely, have always that enchantment about them which flows from a sense of great distances; and which makes up for the sentiment attaching to historical association—the thoughts of old, unhappy far-off things, and battles long ago,' which the grey leagues of old world roads have witnessed. It is this enchantment that, begets at times in even the staidest of us this desire to cast the trammels of the many streeted city from us and go aroving, careless of where we go, finding mateship in the free winds and the free things, of the wild. The free winds, thank God, will always be with us; none may chain, none forbid them to blow whence and whither they listeth. But the wild things of nature, under the hand of the vandal, are slowly, steadily, year by year, and spring by spring, disappearing from our beautiful country. In a previous article I made comment on the wanton destruction which is being meted out to our stately trees, and as part of that comment, I advanced the truth that the loveliness of the earth was not created only and wholly for the generation in which we live, but that it was intended to delight the eyes of all generations, and that we were exceeding our rights, and doing a wrong to those who came after us by wilfully and thoughtlessly destroying it. Only the other day a report, issued by the Wild Life Preservation Society, drew attention to the shocking slaughter which is going on among our plumaged birds. So that a hat may have a feather in it, so that vanity may flaunt itself, and fashions flash its folly in the highways and the byways of our cities’, the beautiful wild winged creatures of the bush and coast are being done to death by the thousand, and the nestlings left to starve. Thus it is with the trees and birds, and thus, during the-coming flower season, it will be with the flowers. On these painted roads there was a time when boronia, pink and white, lush and luxuriant, bloomed within hand reach of those who walked them. Only a few years, back, one might get himself a posy of flannel flowers by straying a few yards into the bush, and Christmas bells drooped their gorgeous bugles in every swamp. 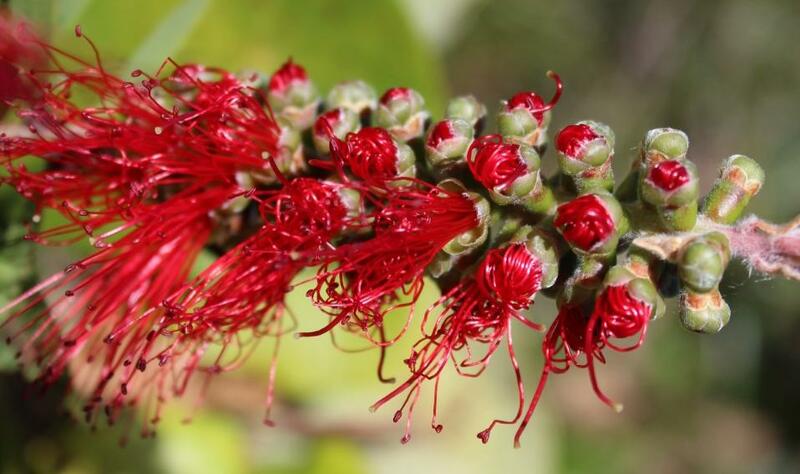 In every swamp too, grow gorgeous brushflowers (bottle-brush is the atrocious name by which these lovely blooms are popularly known), and everywhere Christmas bush lit the green spaces with its splendour. Things are not so today, and tomorrow they will not be even as they are now. The vandal which abides in most men is at work in the beautiful garden spaces of our coast and in a few years the lover of beauty will have to go far, in order to find the flowers that he loves. Last year the vandals came not on foot alone. They came also, the hungriest, the most avid of them, in motor cars, and at end of day every week-end, car after car, in almost endless succession, honked and hurried along the roads that lead from Narrabeen to Manly, and from Manly to the Spit, heaped, full and spilling over with beautiful blooms, ruthlessly plundered from bush and tree. In their hog-like hunger to possess themselves of these flowers, few took the trouble to use knives or scissors in gathering them. They just took hold of the stems or spike or stalks, and if the whole bush gave with their pull, well, so much the worse for the bush. For them sufficient for the day was the plunder thereof, and where no law restricted them why should they restrict themselves? 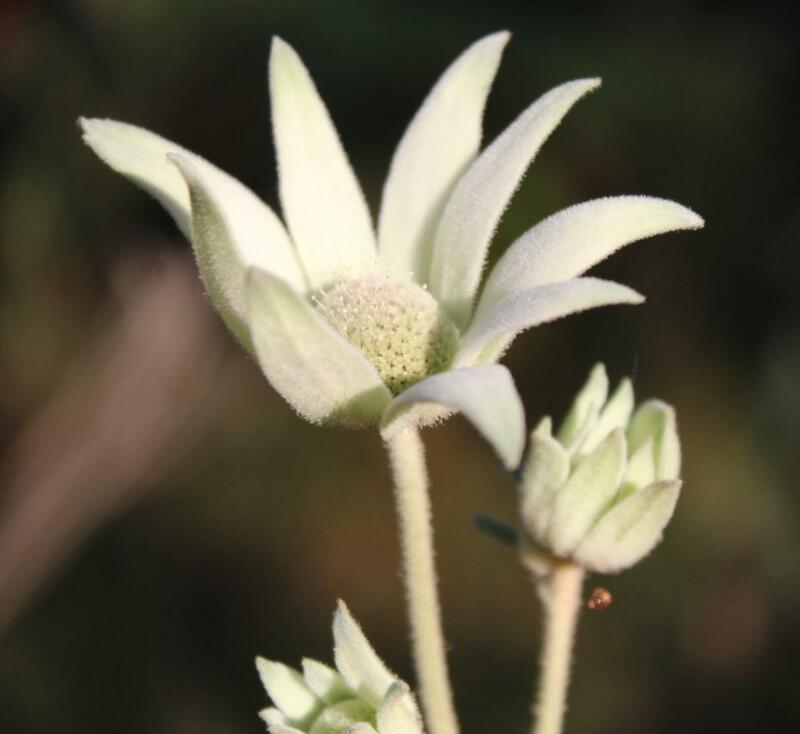 Last year a gentleman, who has built himself a home in a green amphitheatre of hills at the back of Dee Why had a splendid growth of flannel flowers on the acre or so of land surrounding his house. They were of such size and beauty that flower-buyers sought to purchase them for the flower market. But to all and sundry he turned a deaf ear. He intended them for another mission. Out at Randwick Hospital, and in other hospitals, lay sick and maimed soldiers, and it was his intention to make a gift of his flowers to these sufferers, while the flowers bloomed and the flower season lasted. Being away from his home for days at a time, and knowing the nature of the flower-plundering motorist, he erected notices around his place warning them off, and stating the destination of the flowers. To an ordinary man, the man who gathers his bunch of blooms and takes no more than he needs, the notice would, no doubt, have affected, but the plunderer in the car turned a blind eye to it, scaled the fence, and took all that his greed demanded. To him neither the rights of the man who owned the flowers, nor the purpose for which they were intended, made any appeal. To his way of thinking they were just flowers, and, therefore, to be plucked. Standing by his gateway one evening I talked to the owner of the flowers in question, watching the light of resentment that kindled in his eyes as he spoke of the depredations to which he had been subjected. The light still lurked in his eye, but a grim smile slowly twisted his mouth, as though he chewed over an appetising morsel. ''That should be a lesson to them, and warn them off next year,' I commented. Now, thoughts like these, reflections on the seamy side of man's nature, come seldom to those who walk the painted roads on spring days, or days green and gold with the premonition of spring. Rather does it seem that something of the sweetness and softness and motherliness of Nature's way with the flowers and the trees and the grass enters into one, making him think only of all that is kindly and beautiful and lovable. ...Above it again there are several small cascades, and higher again is marshy land from which the creek draws much of its water. This marsh land is the real home of the Christmas bell, and in the season large bunches can be picked with very little trouble. Another wild flower always found in damp situations is the sprengelia, a long spikehead of beautiful pink stars with a white eye; it forms a pretty bunch, and keeps well in water. A few yards to the west of the upper fall, on the hilltop, native roses can be picked Sprengelia can also be obtained here in quantity, and a bunch of native roses: sprengelia, and the long spikes of heath, both pink and white, make a wonderful combination of beauty and perfume. Most wild-flower pickers pull a specimen or two of every flower in sight, including those that do not keep well, and by the time they reach home many have wilted and the whole becomes an untidy hotchpotch. Presently these hillsides will be white with flannel flowers. These should be picked with one other flower only— a tall bright purple spike called steeple, which name describes it very well. Many people cannot Bee a wild-flower without wanting to pick it. They do not consider whether they really want it, any more than a magpie considers whether she wants the bright piece of tine which she carries to her nest. No doubt this attraction to bright colors is the primitive aesthetic instinct, but in human beings instinct unregulated by reason leads to all sorts of trouble. Recently the Chief President of the A.N.A., Mr. J. H. Woods, offered prizes for essays on the 'Preservation of Wildflowers, and it is pleasing to be able to record that notwithstanding wide-spread competition through-out Australia, the second prize was won by Miss Marion Monteith of St. George Girls 2 High School, Kogarah, daughter of Mr. and Mrs. Hugh Monteith, of Kogarah, The first prize was carried off by Master Harold Barnes of Five Dock Public School. The judges in the competition were Miss E. Skillen, M.A., and Mr. P. L. Murphy, B.A. We offer our congratulations to the winners and also wish to express sincere appreciation of the thought which inspired the competition in such a truly loyal Australian direction, for among the many beautiful possessions of our country, the wildflowers rank very high and themany wold respects, are incomparable to those of other parts of the world. Hence, any effort to encourage a deeper love and a wiser preservation of them is indeed rendering a very worthy and incalculable service to Australians for all generations. We have much pleasure in re-producing the essay written by Miss Monteith which is taken from the A.N.A., of August 7, 1920, and we are also indebted to the same magazine for her photograph. I was walking one evening along an unfrequented bush road where nature reigned supreme. The rising breeze swayed the tassel-grass, and a thousand snow-white plumes waved in unison, graceful wattles tossed their gold crests and the silent stately sentinels of the forest reared their lofty heads above tho starry clusters of Clematis, crimson Epacris and other small denizens of the bush. Three years later I was there again —the same place—yet what a change those three years had wrought! Cart and motor wheels had ploughed the ground in wide circles; the blackened skeletons of trees and shrubs bore evidence of bush fires, caused by careless picnickers; scattered orchids and ferns indicated the recent plunder of bush marauders. This destruction of wildflowers is neither necessary nor excusable, for though we all would like to transfer the jewels of nature's demesne to our homes, half the great amount of flowers gathered each week cannot be used. Some of us think that our drab forests cannot compare with the emerald wood-lands of England or of Erin's Isle, but surely we have a flora of our own. 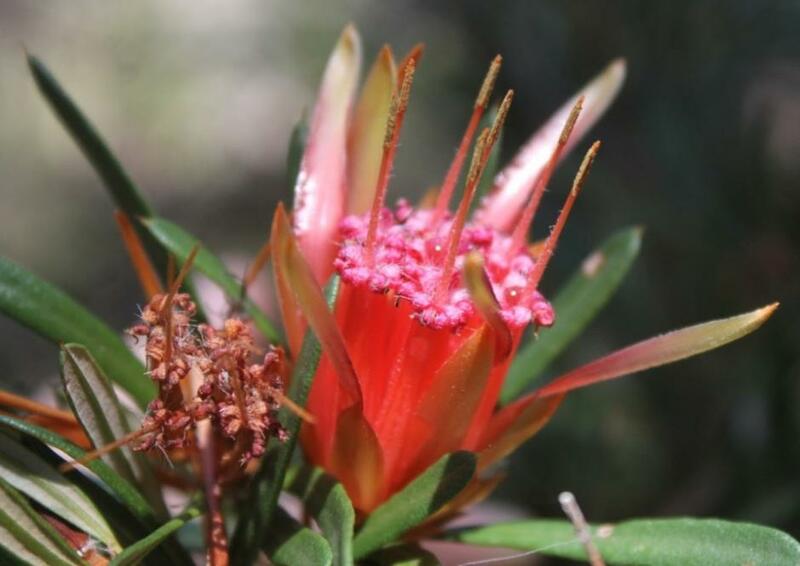 The crimson Waratah, the fragile dainty Christmas-bush, the sweet scented Coney-flower, the golden Christmas-bell, and the woolley Edelweiss like Flannel-flowers are natives of Australia alone and are unprecedented examples of nature's floral bounty. Valiant efforts have already been made to protect our ancient flora, for scientists tell us of the great age of the Australian species, so that many years hence, when perhaps we may value our bush flowers more highly, Australians may still see the flowers which Captain Cook saw for the first time on our shores. At National Park, Taronga Park and Kuringai Chase, wild flower flourish, unmolested in their natural state and their destruction is punishable by law. 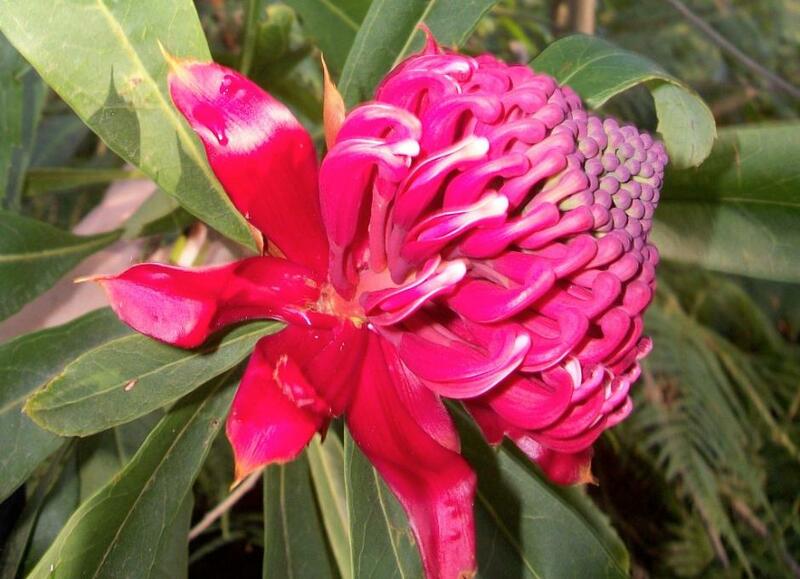 In spite of these and other precautions, the unique Waratah and Native Rose are becoming alarmingly smaller in number around the metropolis. Though the careless or wilfully destructive picnicker is not responsible for all the destruction—for the march of civilisation tramples down the bush, and the Fiery tressed Maiden spares not our forests, but brings down together the mighty bush monarch and the unobtrusive violet, with a puff of her scorching breath - nevertheless, if all took care to safeguard the wild, flowers by leaving the roots uninjured when they cull the blossoming branches, and by keeping their camp fires under control, they would be doing a valuable service to their fellow Australians. What a difference would the absence of the scented Boronia and Waratah make in the industrial as well as social world, since science has discovered the value of the oils contained in them ? How would Australia fare without her variegated bush where the tired city worker away from the maelstrom of industrial life, may drink the lifegiving elixir of the Eucalyptus forests? Let us take up nature's banner, and each endeavour to preserve the Australian bush and keep our native gardens intact, lest the Waratah and Wattle recede inland beyond our reach. The following letter which appeared in last Saturday's "Herald" might very appropriately be added to Miss Monteith's plea for the preservation of our wildflowers :— . Sir,—I would like to bring under your notice the way that wild flowers, especially varatalis, are wilfully destroyed in country districts. Although working in the city, I spend most of my week-ends at my home in the country, and consequently see a good deal of what goes on with visiting motorists, who are not satisfied with the blooms, but must pull the plants up by their roots and pick off what they want afterwards. On Sunday, September 5, it is reported that a motor car was seen with waratahs, which had been pulled up by the roots, tied all round it. This is not only in the case of waratahs, but often big branches have been broken off the Christmas bush trees, a few sprigs taken off the top of the branch, and the remainder are thrown on the ground. But flowers are not all that attract motorists in the district referred to above, as fruit is grown in abundance, the motorists believe in helping themselves to the best they can find, and do not mind how much they take. 'What a price is this for progress, Beauty torn away." The Wild Flowers' Protection Act is a needful and belated step in a right direction, and In no place Is it more urgently required than at Pittwater. For years trippers and motorists have been taking car-loads of boronia, waratahs, palms, ferns, and flowers, not only from Crown reserves, but from lands privately owned. The waste has been senseless, and the destruction wanton. The essence of the Flowers and Native Plants' Protection Act will lie in its administration, but, of course, it will be impossible tor the police to Inspect the hundreds of cars upon the roads, mid the blankets and suitcases of the thousands of trippers who travel at week-ends on the railways. Great numbers of these two classes of people will certainly Infringe the provisions of the Act. Would it not be the best course to appoint a special plainclothes constable at each beach where pilfering goes on to look after the flower and palm hogs, and also to appoint two such special officers at the Central Station? A few convictions would have a very beneficial effect. One of the hillsides above Pittwater forms part of a gully running up into the hills. It is a beautiful bit of nature-a bit of nature at Its best. The creek which flows down its centre has the banks clothed with trees of different kinds, white box, gums, turpentines, ironbarks, and palms, growing up to 40ft In height. Interspersed among those trees there are lilipili, juniper, broom, pittosporums, and other flowering shrubs. Linking the semitropical Jungle together creepers may be seen; the clematis, begonias, and the red-blossomed kennedia. As this spot Is a portion of the "bird sanctuary" there are in It numbers of the feathered fraternity, such as butcher-birds, peewees, laughing jacks, wrens, wag-tails, gillbirds, kingfishers, mopokes, wild pigeons, the golden pheasant, and red-cap dollar birds. In addition to the songsters there are less attractive forms of life, namely, various kinds of snakes-black, whip, small, red, tiger, and a long, thin, clay-coloured one, somewhat difficult to see. For instance, a Sydney lady, intent on plundering the bush of its ferns and flowers, almost stepped on one of these poisonous people. She left at a good round pace, and then took the 'bus for Potts Point. She left her flower collection In the brush. Besides these noxious creatures there is the goanna. Some half dozen of the reptiles have their habitat on or about the creek. They are of considerable size and strength, miniature crocodiles, menacing In aspect, and unabashed. A domestic cat living near the brush had her side badly torn fighting with one of them In defence of her kittens. The latter have now gone west, and, like the morning dew, have not left a trace behind. Probably the goannas have a mandate over the feline rocky home. 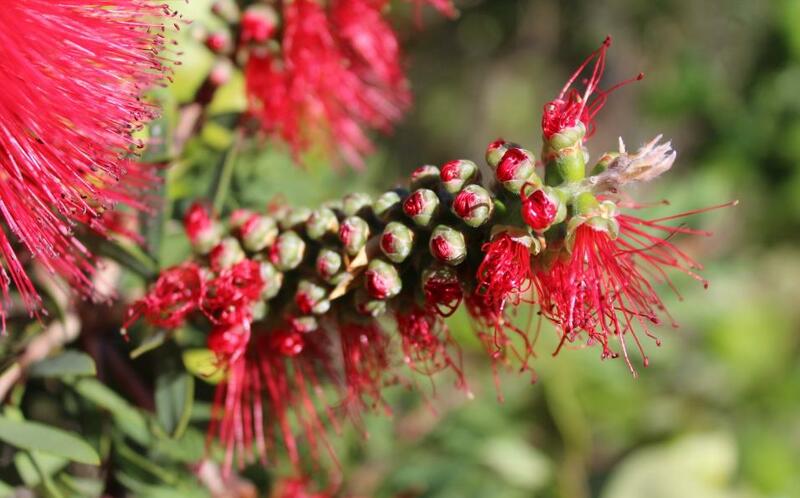 When enumerating the flora of the gully, the callistemon, or bottle brush, was omitted. It is one of the most brilliant shrubs in Australia, and its glowing hues contrast with the different shades of green In Its back-ground. The Intermingling of green and scar-let gives an effect so rich and charming that It Is indescribable. The goanna sometimes forms an ambush in the shade of this bottle brush. The smile of spring is now upon the land, and the countryside is a blaze of wild flowers. This article is a plea for the greater protection of our native flora. HERE is September, inaugurating again the annual festival of the wild flowers! Let us not; however, be unfair to earlier months. There has never been any lack of flowers about the Hawkesbury sandstone. In the modest month of May, for example, the ridges and hillsides were gaily golden with the fragrant blossoms of Acacia suaveolens and the dainty flowers of Acacia discolor. 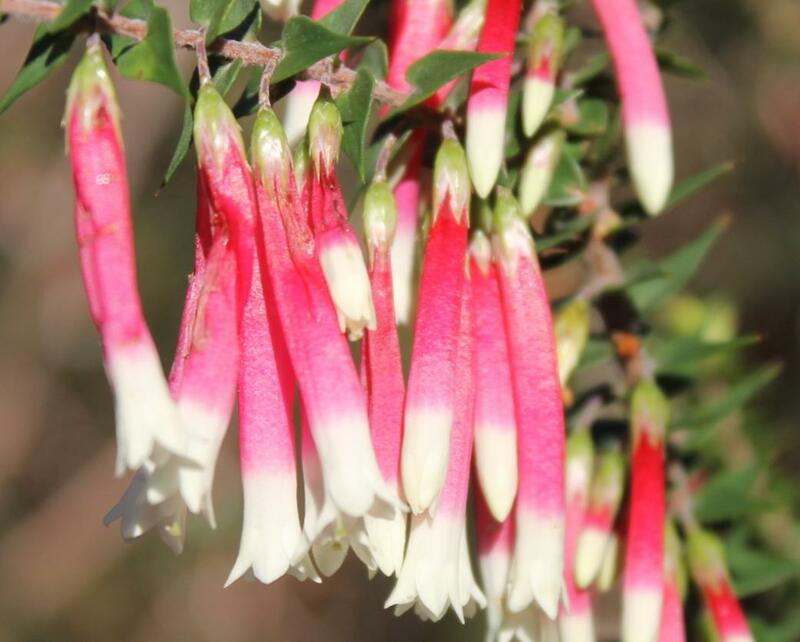 And when the cold winds of June swept across the sandstone plateaux they played with a myriad starry faces of Springelia and countless beautiful bells of various species of Epacris, the well-loved heath. And, again, in July the pageant strengthened, for odd plants of the lovely pink boronia came to flower about the middle of that month, and the shy faces of the tiny Glossodia and Caladenia orchids began to open to the sun, and many another brave plant swelled its buds and whispered 'Soon.' It would not be correct, perhaps, to say that August and September are the most flowerful of all periods, since the pageant goes forward without pause for at least five months; but we welcome the present month most of all because of its freshness, its vitality, and its inaugural part in the festival that creates for the Sydney sandstone (from the Shoalhaven River in the south to Gosford in the north and the Blue Mountains in the west) a wild-flower garden second only to that of inland Western Australia, and probably the finest of its kind adjacent to any city in the world. WHY is it that Sydney is so bountifully endowed with flowering shrubs? For an adequate answer to this question you must gaze back a matter of 250,000,000 years. You must return to the dim Triassic period, long before man came upon the earth and when monstrous reptiles were the lords -of creation. During that period a tumult beyond imagining occurred on the site where the first city of Australia now stands; an ancient forest was submerged beneath the sea and afterwards buried under great masses of sand, which were eventually to be solidified and to become the famous Hawkesbury sandstone; and at approximately the same time a vast lagoon was created, which was to dry into solid mud and to become the smiling plains of Parramatta and Penrith, known to geologists as the Wianamatta shale. Fossil recoveries indicate that the ancient forest was not unlike the old forests of Europe, but when it was swept away Nature had to begin afresh and create a vegetation suitable to the semidesert conditions. And so well was this work done through the ages, and so cleverly did the plants safeguard themselves, that the ragged sandstone became quite hospitable to a xerophytic flora, and thus was clothed with plants stunted in form and harsh in foliage, yet by the law of compensation surpassingly beautiful in flowers. Clearly enough, therefore, the abundance of wild flowers about Sydney, as well as the picturesque situation of the city itself, is founded upon the sandy chaos of long, long ago. What brilliant fields of colour must have met the eyes of Captain Phillip and his men in the spring of 1788! Sydney was then seven or eight months old, and it is to be presumed that most pioneers of the settlement had become reconciled to their strange adventure — sufficiently so, at any rate, to allow them to marvel at the radiance that had sprung from austere plants. There were, it is true, none of the 'daisies pied and violets blue' that 'paint the meadows with delight' in Old England; but in their stead were the scarlet glory of the waratah, the white purity of wax-flowers, the tender pinks of boronias, and the varied beauty of a hundred other unique flowers. IT was inevitable, of course, as the years rolled on and the settlement expanded to a town and the town to a city, that much of the native flora should be swept away. But here arose a curious circumstance: the vegetation that had clothed the sandstone, protecting itself by many quaint devices, was in turn protected by the sandstone — protected by the simple fact that many of the gorges and ridges and plateaux were not hospitable to the white invader, and so were permitted to remain unsettled. Even to-day there are within a few miles of Sydney areas that have altered very little since the founding of the city 142 years ago. And, of course, you are to consider also the inestimable boon of two National Parks, each exceeding 30,000 acres, lying immediately north and south of Sydney. Plants may be decimated by vandals everywhere else, but if these great National Parks are kept true to their purpose we can never wholly lose the glory of the sandstone flowers. Actually it is only during the present century that wild flowers have been seriously menaced. The plants being hardy, they had, in spite of sporadic ravaging, maintained themselves so well that not one species had become extinct during more than a hundred years of white settlement; but with the coming of the motorcar and the rise of the seller of wild flowers a distinctly ominous note was introduced. The dealer will tell you, of course, that his operations are relatively harmless, in that he always cuts the plants, whereas the careless motorist tears them up willy-nilly; but the motorist claims that he takes very few flowers compared to the quantities seized by the sellers. Anyway, the fact remains that these two agencies have in twenty or thirty years created a greater menace to wild flowers than was constituted by the entire population of Sydney during a hundred years previously. And so it became necessary to enact a Wild Flowers and Native Plants Protection Act in 1927, and to form a Rangers' League as a kind of unofficial police body in 1929. These two factors are at the moment the salvation of the wild flowers and decorative plants of New South Wales in general, and the sandstone areas in particular. THE Act in question is a short measure, chiefly of a machinery nature, for it does not name plants that are to be protected, but gives power to the Minister for Local Government to proclaim them by regulation. For the rest, the only material portion of the measure is the clause which permits the sale of protected flowers that grew or were grown on private land. Here is the weakness of the Act — or, rather, the weakness of its administration. It is so easy, you see, for sellers to gather large quantities of wild flowers from Crown lands (or even steal them from National Parks) and to have them covered by fictitious documents purporting to show that they came from private properties. It might, not be so easy if the Act were properly policed — if, for example, a document of sale were thoroughly checked up— but the average policeman is so busy, and knows so little about wild flowers, that it is hopeless to expect satisfaction in this matter until it is in competent hands. What some people favour is a small sub-department of (say) the Agricultural Department to administer both the Plants Protection Act and the Birds and Animals Protection Act, with expert salaried rangers to function outside. There need be no expense involved, for the sub-department would pay for itself if flower-sellers, bird-dealers, and all keepers of aviaries were subject to small licence fees. In Queensland the operation of this principle in regard to birds and mammals has made the department concerned not only self-supporting, but relatively wealthy. 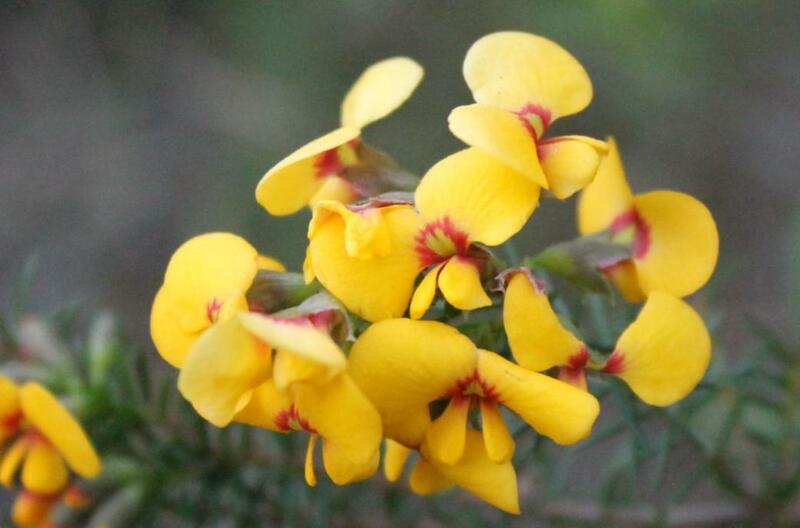 OFFICIAL protection of certain wild flowers and plants of New South Wales has been in operation for three years. It was promulgated first from July 1, 1927, and re-enacted from year to year since, in each case additional species being added to the list. The present list, operating from July 1, 1930, to June 30, 1931, is the most comprehensive one yet issued, its chief feature being the inclusion of all species of boronia (34 in number) instead of the few species previously listed. 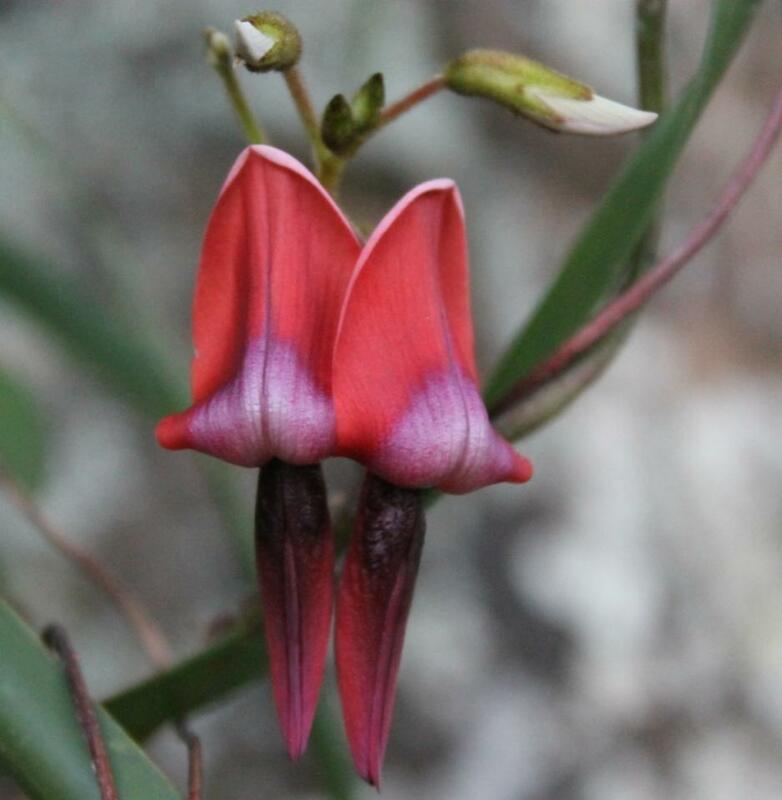 Other plants on the protected list are:— Christmas bells (three species), the waratah, flannel- flower, Christmas bush, staghorn, elkhorn, tree-ferns (five species), wax-flowers (four species), bird's-nest fern, red bottle-brush, and the showy Dendrobium orchid popularly known as the rock-lily. It is a matter for rejoicing that all species of boronia are now under protection — even if that protection is not all it should be. There will now be no base for the excuse of the vagrant motorist, when accosted by those energetic gentlemen of the Rangers' League, that he did not know the boronia in his car was one of the protected varieties. Doubtless there are flower-lovers who consider that the list should be even more extensive— that it should embrace such plants as the starry-eyed Springelia, some of the beautiful heaths, and more than one species of orchid; but on the whole it is a sound list, one which, if properly respected, should do much towards regaining some of the lost beauty of our countryside. THE whole trouble is— and this will bear repeating— Governmental enforcement is not adequate. There is in every community a section of people who care nothing for the general welfare, and who are always willing to despoil national possessions if they can do so with safety. It is men of this type who steal into the National Park when rangers are absent and year after break down beautiful stands of waratahs. 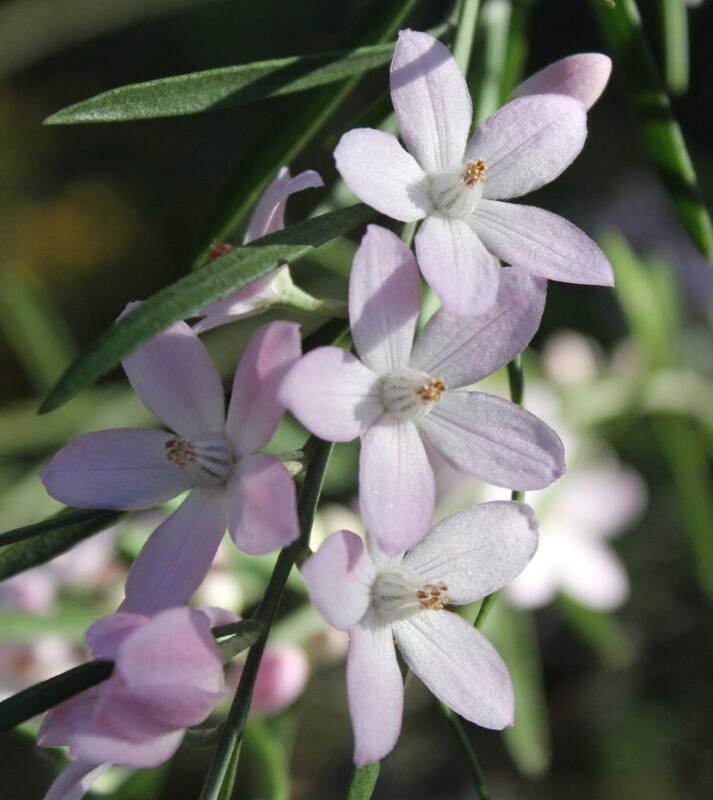 It is the same type that has been responsible for the ravaging of that lovely little boronia known as the native rose, so that where formerly it was possible to see flowers on stems two to three feet high the plants are now mostly small and comparative rare. Think what a radiant sight it would be if we could re-establish these species, together with flannel-flowers, wax-flowers, boronias generally, and various other charming blooms! Surely such a wild-flower garden would attract visitors from all over the world! This, at any rate, is the belief of a committee of the Linnean Society of New South Wales, who are at present conferring with trustees of the National Park with a view to setting aside a particular portion of the reservation for the cultivation of flowers. It is recognised, of course, that the whole park should be sacred to native flora; but the idea is that a certain area, at the Waterfall end of the park, and hard by the drive, should be given particular attention, so that in August it will be ablaze with boronias and waratahs, in September gay with orchids, in October smiling with flannel-flowers, and in November and December radiant with the scarlet and gold beauty of Christmas bells. The proposal is still in its infancy, but already a site has been selected by naturalists and the park trustees, and there is a strong possibility of Australia's first 'official' wild-flower garden being launched ere long. What more endearing hobby could be conceived, indeed, than the study of native flowers in all their winsomeness, all their quaintness, and all their dainty novelty? It is a study that offers many pretty rewards at all periods of the year, but most of all now, when the smile of September is upon the land, and the fluting of spring comes softly out of the distance. The Ranger's League was a brilliant idea - it placed the local protection of these areas in the hands of the people who were living there, and could spot the flower killing thieves, and negate the onus of having a thousand paid government rangers constantly patrolling each place, including the neighbourhood reserves. They were, alike today's bush care restorers, volunteers. Brammer, John Kyneton, Bassett-street, Mona Vale; Collins, Edmund Henry, Ocean Grove, Collaroy; Gould, Charles Sidebottom, Daintree, Salvation-street, Mona Vale; Gould, (Mrs.) Margaret Irene, Daintree, Salvation-street, Mona Vale; Hawkins, Harold Frederick Weaver, Waterview-street, Mona Vale; Hawkins, (Mrs.) Irene Eleanor, Waterview-street, Mona Vale; Kentwell, Graham Harold, Elimatta-street, Mona Vale; Kentwell, (Mrs.) Eunice, Elimatta-street, Mona Vale; Myers, (Mrs.) Enid, 29 Lueretia-avenue, Longueville; Savage, (Miss) Ethnee, Bayview-road, Mona Vale; Savage, (Mrs.) Fanny Stephney, Bayview-road, Mona Vale; Toovey, (Miss) Roslyn Phyllis, Hillcrest-avenue, Mona Vale; Young, (Miss), Annie Lawson, The Tropics, Crescent-road, Mona Vale. J. J. CAHILL, Minister for Local Government. WILD FLOWERS AND NATIVE PLANTS PROTECTION ACT, 1927-1945. ...Ronald Arthur Searl, 42 Avalon-parade, Avalon Beach; Charles Herbert Milnes, Chisholm-avenue, Avalon Beach; Mary Brigid Milnes, Chisholm-avenue, Avalon Beach. (2940) J. B. RENSHAW, Minister for Local Government. Once, long ago, the drive along this road was a feast of beauty, when one bowled along between sea and bush, with wide-spreading views on either side. We used to leave Circular Quay by the 8 o'clock boat to Manly, where at the wharf was waiting the old coach with its four horses. With luck-one seemed to be always lucky in those far-away days we got box seats and set out on our journey with gay spirits in the morning! sunshine. Down the Corso we rattled, and along the Steyne, with the pine trees making a delicate screen between us and the blue ocean. Leaving the Steyne, we crossed the bridge over the lagoon, not yet drained and ordered, into a golf course and suburban lots, but stretching lazily over the lowlands, where a vegetable gardener or two grew produce for "The Village." Then on past swamps, where red callistemon flowered in thousands, on round the foot of the hills, where a million flowers bloomed amongst the grey rocks and birds sang gaily and darted to and fro before us. Here and there, at long intervals was a dwelling-some hermit in search of solitude, or an intrepid pioneer sensing the future value of the land. But so few they were that they scarcely made an impression on the landscape, and the drive seemed to be all bush. All bush and sea, for ever and again as the road leaned seawards we had the uninterrupted view of golden sand and blue ocean. Deewhy Lagoon, with its background of sand- hills and bushy cliffs, was a-swarm with black swans. Narrabeen stretched In a long, unbroken vista from Long Reef to the Lakes. What houses there were were mostly on the land side of the road, and a few on the shore were so scattered that they did not interrupt the view. (Our young architect used to plan an ideal Narrabeen, with all the dwellings on the hillside and the whole sea front a reserve.) And so all the way to Church Point. At Rock Lily and Bayview, where painters and professors had holiday homes, the houses were built on the higher side of the road, above the encroachment of the tide and the mosquito-laden swamps, and the view was free for all travellers to enjoy. Perhaps time has shed a glamour on that drive. Certainly the road surface was not what it is to-day, and the old coach rolled and rattled at times, but what are jolts and jerks to sixteen on a fresh spring morning, with sea and sky and bush alive with beauty? Of the road which branched off to Newport and beyond we knew less, but we used to hear of the many charms along its length from two young men who every winter Sunday morning set out with a packet of sandwiches to walk to Barrenjoey. (They didn't "hike" in those days; they simply walked.) Later we came to know that road well, too. The green slopes and beach of Mona Vale, where a man ahead of his generation had built a mansion, almost at the end of the world it seemed then, the spreading sandhills of Newport, and the little beach beyond, with its rich palm grove-we knew them in their unspoiled days. Leaving the sea, the road climbed across to the inland harbour and ran along the water's edge, with nothing but the tall gumtrees to break our view of the blue bay; past Careel Bay, with its mangrove swamp; past the green flats, with their narrow border of pearly sand, to Palm Beach itself, where the gaunt grotesque tea-trees and banksias grew to the edge of the rosy sands. But year by year the road grew, and In Its growing lost much of its charm. Tramlines stretched out mile upon mile; houses sprang up in long rows; the swamps were drained; the wild flowers disappeared. At Deewhy the black swans still floated on the lagoon, but in lessening numbers; Narrabeen Beach-now Collaroy-was hidden by a continuous line of cottages, and the sea was glimpsed only at the end of side streets; our young architect's dream of an ideal Narrabeen was gone for ever. The pleasant green sward which flanked Broken Bay at Palm Beach was covered with dwellings, and the white beach which encircled it "like a lovely woman's arm." as a poet said, was barely visible from the road. On the ocean front most of the tea-trees and banksias had gone to make way for neat lawns stretching to within a few yards of the water. Everywhere beauty had been driven out by profit, and the road which might have been one of the loveliest of seaside drives had been reduced to an almost suburban dullness. In recent decades the tide has turned fully and producers and growers of our native flowers are making brilliant livings growing and selling our native flora - flower shops, supermarkets and vegetable markets have to work hard to keep up with demand. The great aspect of most of our natives is that if you do it carefully, after that bright red bunch of white and red waratahs, grown at a waratah nursery, has graced your Christmas hall table or family lunch, they may be dried and provide an eyeful of pleasure a lot longer. The Wollemi pine is another great example of something ancient being saved by a modernist movement to put it back, put it all back! If you'd like to help put it all back our local bushcare groups are listed permanently in the Environment page. The treble of the creek. The strong voice of the sea.